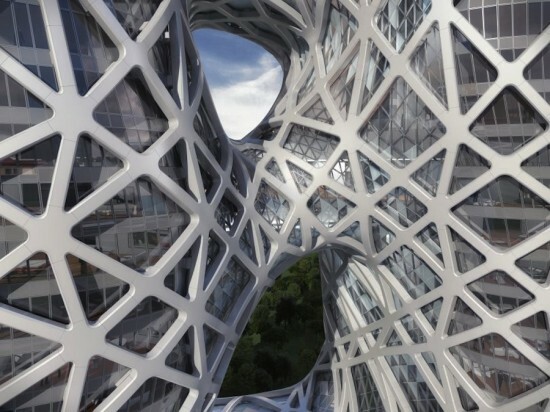 Zaha Hadid has designed another seemingly-structurally-impossible parametric building form that is set to touch down in Macau in 2017. 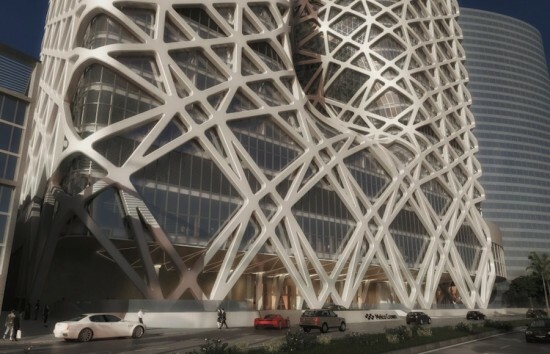 The building, which could be equally at home in Miami or Dubai, is a large block that has been punctured by three curvaceous openings. 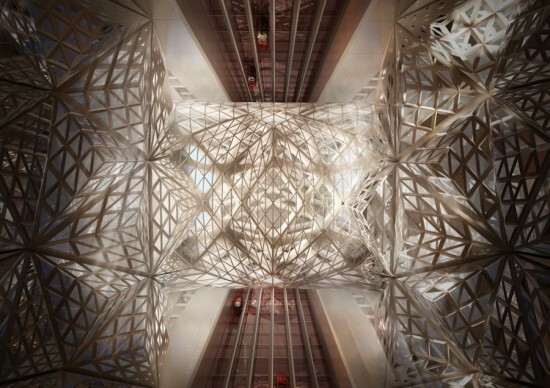 The entire mass is encased in an exposed exoskeleton that twists and turns along the structure’s contours. The project was undertaken at the behest of Melco Crown Entertainment, casino magnates who have contributed the City of Dreams resort to the gambling-soaked Chinese island. 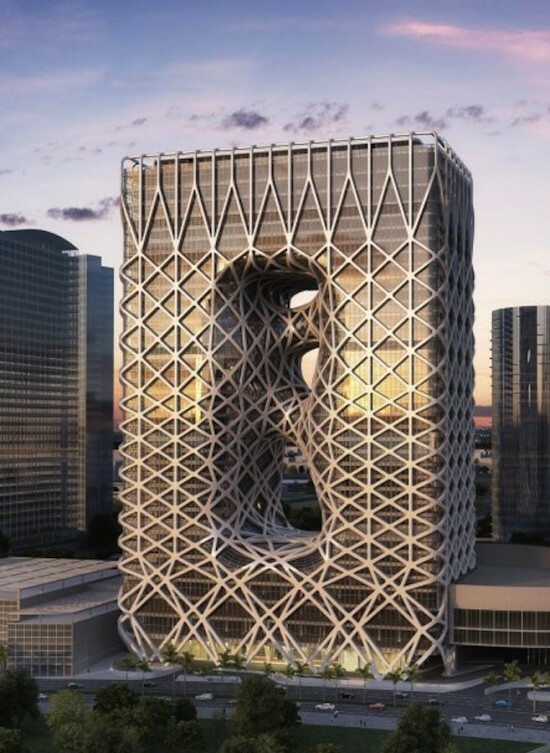 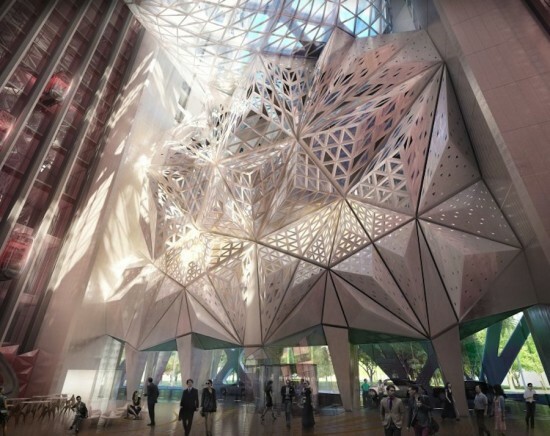 The developers commissioned Hadid to create the fifth hotel located on the property, which will top out at 40 stories and house 780 rooms in over 1.6 million square feet of space. Other expected amenities include luxury retail, specialty restaurants, spa facilities, a roof-top pool, and a number of gaming areas. The external latticework varies in patterning as it crawls up the structure’s facade. It is densest at its middle, where it navigates the irregularities of the design’s central void, and becomes more elongated at each of the building’s poles. The interior is more angular, awash in crystalline glass outcroppings subdivided by triangular grids. 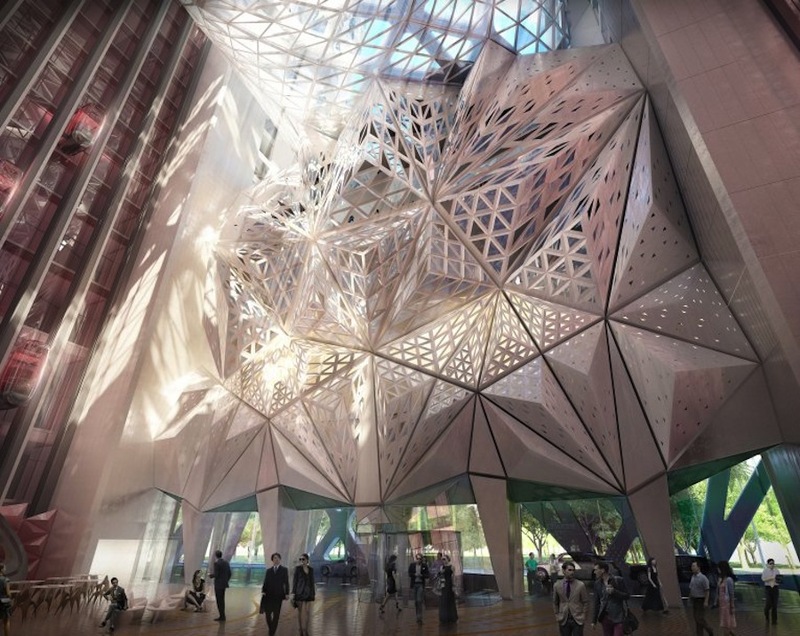 These walls collide with the curved base of the structure’s opening to create a 130-foot central atrium that welcomes arriving visitors to the hotel. 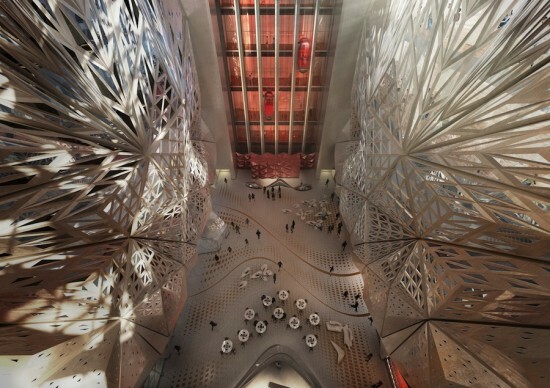 Construction for the newest member of the City of Dreams is already underway.